Hence, the Central Government employees as well as the pensioners are entitled for DA/DR at the rate of 90 per cent of the basic with effect from 01.07.2013. 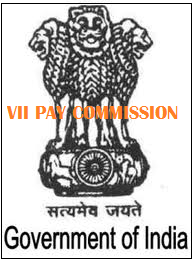 The increase is in accordance with the accepted formula based on the recommendations of the 6th Central Pay Commission. The combined impact on the exchequer on account of both dearness allowance and dearness relief would be of the order of Rs. 10879.60 crore per annum and Rs. 7253.10 crore in the financial year 2013-14 ( i.e. for a period of 8 month from July, 2013 to February 2014). (Release ID :99505)The orders are awaited now. Hope this time the Government doesnt make any delay in issuing the orders like in April 2013. The holiday season in on us and any money in such hard pressed times is welcome! I will be keeping a watch on the related website and bring you the orders as soon as they are issued, to make your holidays worthwhile.